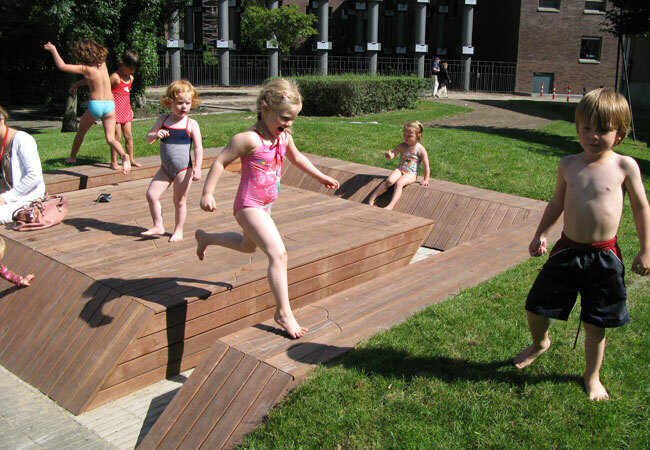 District Zeeburg commissioned “park furniture that encourages play” for the Mien Ruysplantsoen. 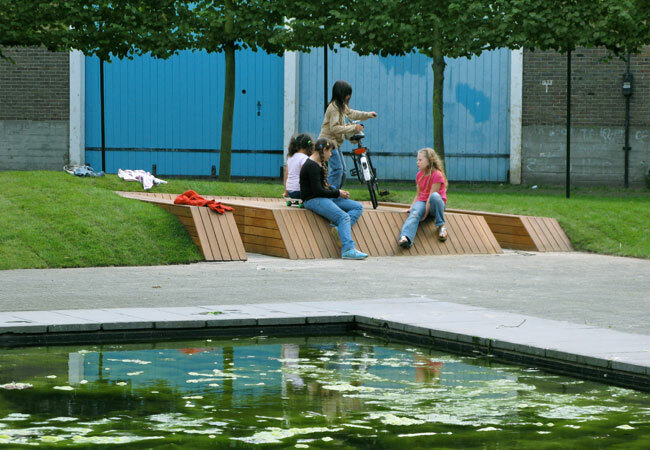 Mien Ruys, a famous landscape architect, designed the park in the fifties for the Royal Dutch Steamboat Company (KNSM). The table tilts in reference to the Maritime history of the island. 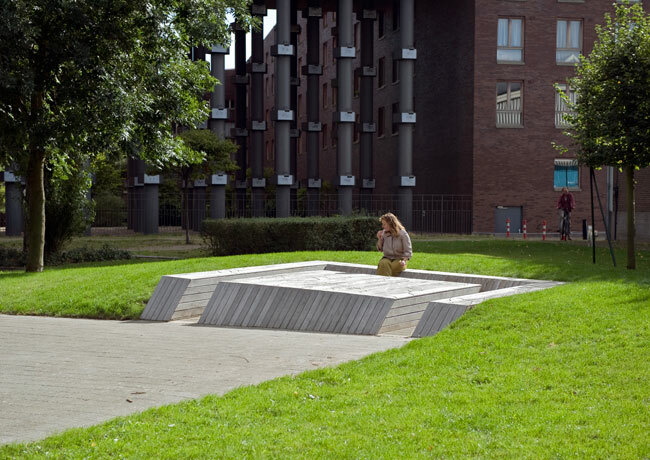 The square table, surrounded by a U-shaped bench, echoes the repeating borders of Mien Ruys’s style. 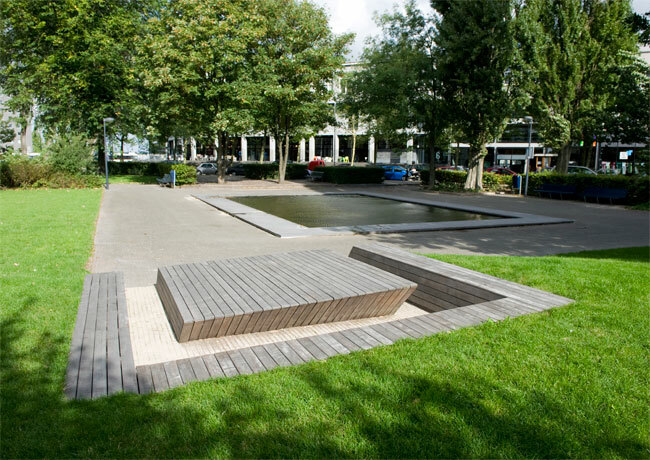 The surrounding lawn is raised to the height of the bench, so a visitor has the sense they are enveloped in grass. The low table also serves as a stage. Contours of Amphitrite and Triton are incised in the wood in tribute to a sculpture donated to the site by KNSM sailors in 1956. 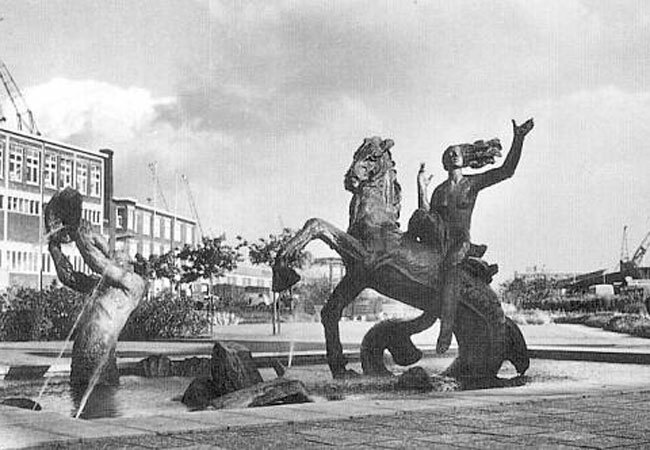 In the 1970’s the statue was falling into decay and was removed. 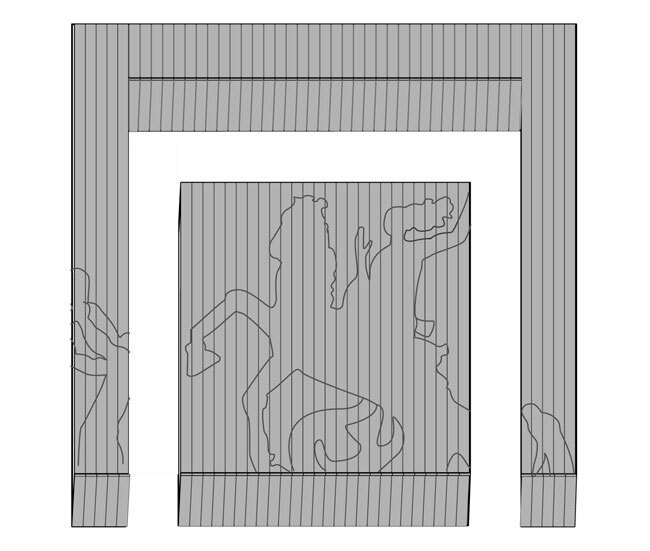 Upon their urging, the sculpture was finally returned in 2009.